Almost all vehicles after 1990 have had some sort of electronic computer in them that was meant to control the car’s functions. This computer is known as an ECU or a PCM and it comes with every vehicle you buy. Along with an ECU, there are many other small electronic components like an Electronic Throttle Control (ETC). ETC has a very important function to perform. In older vehicles, the throttle position was determined by a cable that opened the throttle based on how much you pressed the acceleration pedal. However, a direct link between the throttle and the gas pedal was not efficient. Vehicle owners experienced increased use of fuel. Hence, the throttle control unit was created. What is the ETC Valve? This unit makes an important decision every second you are driving your car. The ETC acquires information from the gas pedal and then from the engine to decide how much to open the throttle. When you press the pedal an electronic signal is transferred to the ETC which directs the throttle to open wide or close. If you are driving fast and pressing the pedal to the metal your car’s ETC will sense the situation and keep the throttle wide open to let in the maximum amount of air. Alternatively, if you are just cruising the throttle will open slightly to keep the fuel and air mixture at the optimum level. The throttle control unit is necessary to ensure you are getting the optimum amount of power from your engine. If it fails you are bound to face countless problems in your daily drive. Which is why when trouble arises in the ETC light comes on in your dash. This light indicates that there is a problem with the ETC and you should get it checked at the earliest. The ETC light is usually the last warning you get before your engine’s performance is affected. That is something you cannot afford, which is why we have provided a list of symptoms that are associated with ETC failure. There is a wide range of problems that can arise in an ETC. The good thing is that every issue has its own specific code assigned to it. When something goes wrong, the ECM or the ECU triggers the error code that makes the ETC light to come on in your dash. As soon as the light comes on you should go to a mechanic. The mechanic will attach an OBD-II scanner to your car and check the trouble code. This code will tell the mechanic exactly about the problem. After learning of the issue, the mechanic can make the necessary repairs and erase the code from the system to switch off the error light. If you know the associating symptoms you can make the diagnosis yourself without spending money on a mechanic. The first sign of throttle control failure is a non-responsive throttle. This happens when you press the throttle but you do not get a quick response in terms of faster acceleration. You will feel a weak throttle response and at times a jitter before your car accelerates. One way that can happen is when the ETC is not getting proper electronic signals from the gas pedal. The ETC works great only when it receives proper signals. It is possible that a relay has gone bad or a wire has been cut loose from the ETC. 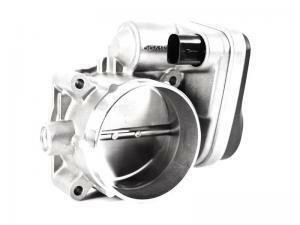 No matter what the issue, you are bound to lose throttle response. In the worst case, you might not get throttle response at all leading your car to stall in the middle of the road. As soon as this happens, you are advised to visit your nearest certified mechanic who has the expertise to deal with such a situation. 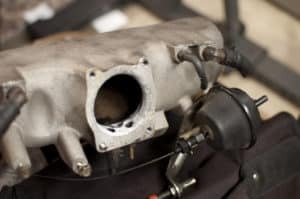 If you are a DIY mechanic you can even take a look around the throttle body to identify any issues with the throttle wiring or the throttle positioning sensor. If the ETC is damaged due to any reason, the throttle control light will enlighten in your dash. A damaged ETC will send improper signals to the throttle positioning sensor and your throttle will act erratically. This hesitation is minor in the beginning but it keeps on increasing till a time comes when the throttle is not responding to the acceleration pedal at all. Furthermore, a hesitant throttle is a safety risk for you and for others on the road. You might get into an accident and damage property or life. In order to be safe, you should visit the mechanic at the first signs of failure. If the ETC light is flashing in your dash, it is possible that your vehicle’s mileage is being affected. In the opposite case, a poor fuel economy can also mean that either your TP sensor is not working up to standards or your ETC is nearing failure. You might feel you are visiting the gas station more frequently. This is because an erratic throttle disrupts the fuel to air mixture to such an extent that sometimes you are burning more fuel than required. A rich fuel to air mixture can seriously hurt your economy and make it expensive for you to drive your car around daily. If things get serious with the ETC you might not only see a throttle control light coming on in your dash but you would also feel you cannot accelerate your car more than a certain point. This situation is deliberate and is done by the ECU to protect the engine from damage. This is called the limp mode, which is a safe mode to keep the innards of the engine safe. The ETC is an expensive engine component and since it is electronic its cost is sometimes non-negotiable. In most cases, you don’t need to change the ETC but if you have to you can expect to spend in excess of $200 – $300 and that too depending on the make and model of your car.